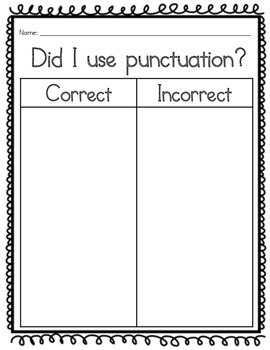 I use these products with my students to review punctuation. I find that about halfway through the school year, simple skills such as capitalization and punctuation get forgotten. The first 6 worksheets I use as morning work. 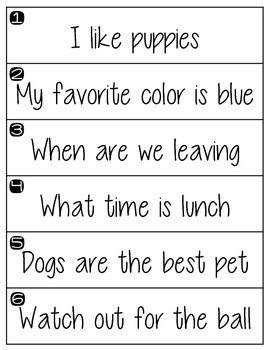 The cut and paste activities and the sentence cards I often use as a center. 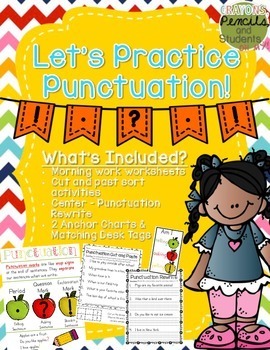 I have the anchor charts printed on 11x17 paper and laminate it to display in my classroom. After we talk about both I stick the desk tags down to the students’ desks with packing tape as a quick reference. Need Capitalization Practice? 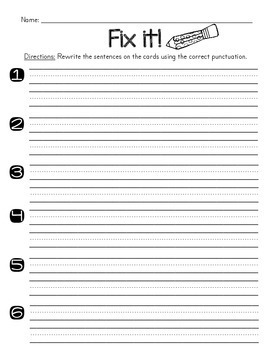 Click here to check out the Capitalization Practice Pack.